I know that fashion and makeup can tie in with freedom of expression, creativity, and self-esteem… and those things are not little by any means. 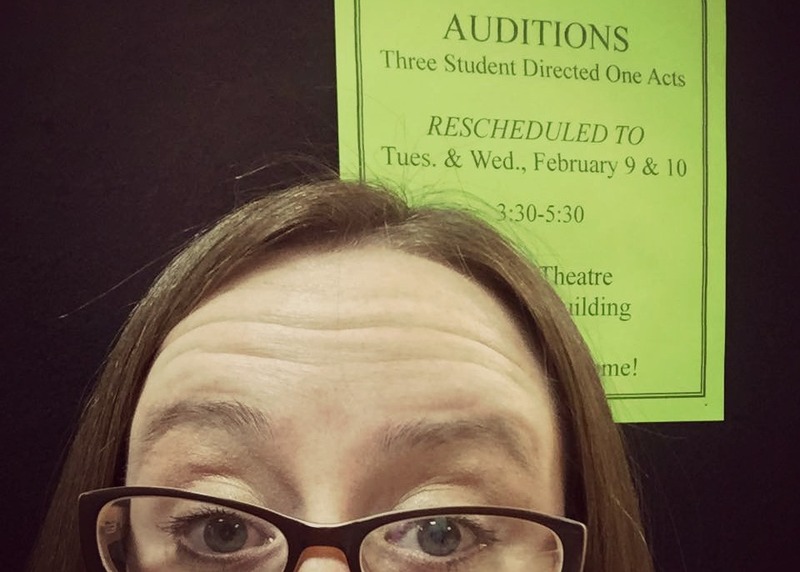 All that being said, my super big thing right now is the fact that I just auditioned for a series of student-directed one acts at the university here in town. The performances will be around 30 minutes each, one night only, and directed by college students. Why did I start out this blog post on the defensive? I didn’t plan to start it out that way… but here we are. I can’t help but feel like this big thing seems small to others… to people with higher levels of theatrical education or people who are embarking on missionary trips or curing cancer. No one has said anything to make me feel this way; I just do… which simply reinstates to me that this is a big thing for me, and that I should think about it. So. Here I go, thinking. Brain-spouting? Mind-barfing? I’m thinking about trying out for these shows when I was actually in college. I’m thinking about how I would think, “Ah, these are open up to the community? Like, anyone can just come in and audition for these?” I would see the same “older” (*cough* in their 30s *cough*) people audition every time and think I was somehow… better… because I was younger? Puke. Obviously, I’m not proud of those thoughts, but they came slamming back to me yesterday when I cautiously walked into the same theater I used to flounce into, and met the friendly (also mildly amused) faces of a few college students in their element. Frigging weird, you guys. Just so frigging weird. As I filled out the form I’ve filled out so many times before, I’m writing down the information of a completely different person. My weight is higher, I actually said I wouldn’t change my hair, and I heartily hesitated before the “scantily clad” part. Then I had to write down my most recent theatrical experience… which was about seven years ago. Who knows? Sure, these questions are a little overblown; there’s a pretty good chance the answers all lie somewhere in the middle… but I’m thinking them nonetheless. I’m going to drive up to the theater tonight and check a cast list for the first time in seven years. I’ll let y’all know how that goes.